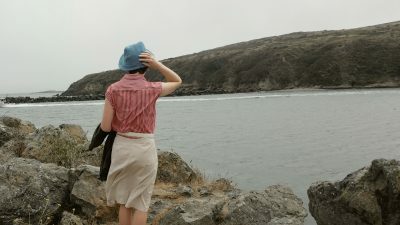 This outfit made me think of the comfy “beach pajamas” from the 1930’s! 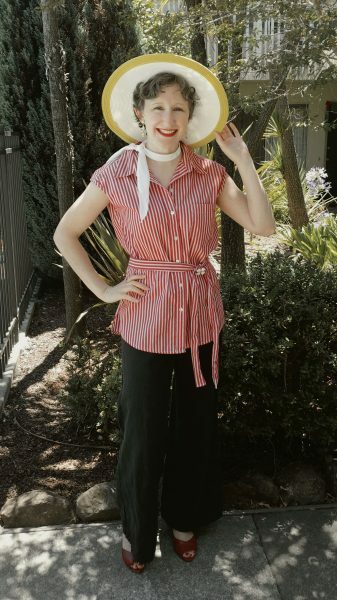 Wide-leg pants, a breezy top, and a big hat equaled summer sun readiness! 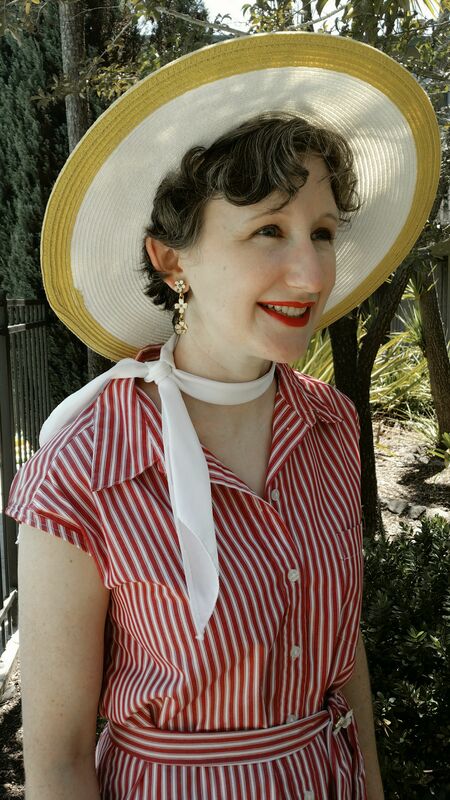 My earrings, hat, and pin are favorite thrift store finds. The scarf was a gift from the fabulous Heather! 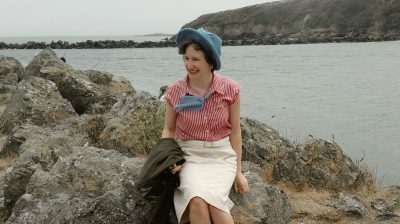 Next, my top and I visited the beach by way of the 1940’s! 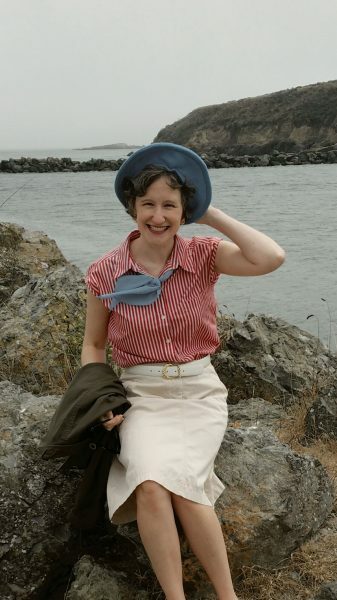 I left out the matching belt this time and instead tucked the top into an A-line skirt. 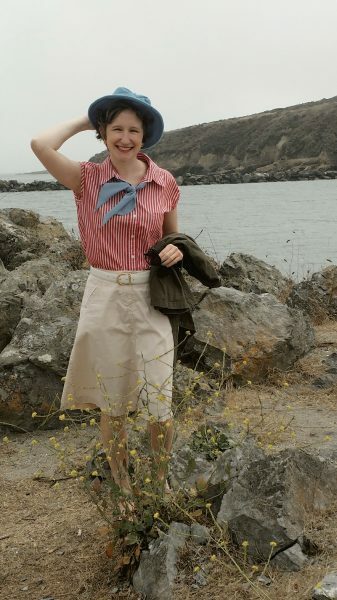 I love the nautical feel of those stripes! I just wish it was slightly less windy! My skirt, belt, and earrings were thrifted, while my hat was a homemade project based on a vintage pattern. More on that later! Ship ahoy, Matey! 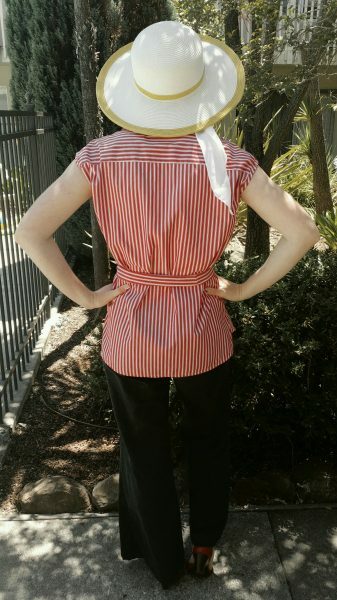 Be on the lookout for more refashioned projects coming soon!